Travel is incredibly personal and unique to all of us wanderers and adventurers. Whether you are headed to the country for the weekend, on a cross-country roadtrip, or destined for sand and sun on a faraway coast, we wanted to create a collection of bags, and accessories, that represent you, wherever you are. So, we created of a collection of chainstitch iron-on patches, representing six iconic cities from the Wildsam Field Guides, that are handcrafted by our friends & artisan-patch makers, Dixon Rand. Take a visual journey below to learn more about Dixon Rand and the process behind these stunningly intricate patches. Check out their site to find even more styles you'll love. In order to bring our designs to life, we knew we needed a partner with a dedication to craftmanship, quality and detail (chainstitching is no easy feat!) and, of course, an adventurous spirit. Enter, Dixon Rand, San Diego-based patchmakers who were the perfect match. Founded in 2013 by apparel industry & fashion design veterans JoAnn Jack & Abraham Voytek (Abe above), Dixon Rand is commited to telling a story with every stitch. Firmly believing that what we wear is an expression of our individuality, they were the perfect partner to execute these incredibly personal and emotive city-inspired patches. Each of Dixon Rand's chainstitch creations are crafted on a 100-year-old Cornely machine that is hand-cranked and assisted with a small motor. A chain stitch is a series of looped stitches that form a chain-like pattern, similar to crochet. Each pattern is truly a labor of love and takes at least 1–2 hours to complete! Each type of chainstitch has its own unique appearance, adding dimension to the design. Dixon Rand works with a combination of flat chain stitches (traditionally found on older western garments) and moss / chenille stitches, which are a little fluffy (like a varsity letter). Mixing the two stitches is what creates the 3D effect that you'll see in the stunning New Orleans-inspired flower patch (above & below). The final result is truly a work of art and the perfect accessory for our canvas Travel Collection. Embodying Dixon Rand's dedication to an independent and individual spirit, the freedom of the open road, and an unwavering respect for craftsmanship & quality, this collection of patches is a representation of how personal and impactful travel is to all of us at FEED. We hope that these patches resonate with you and your sense of adventure. Whether they represent your home state, a city you admire, or somewhere new that feels like home – there's something for everyone. 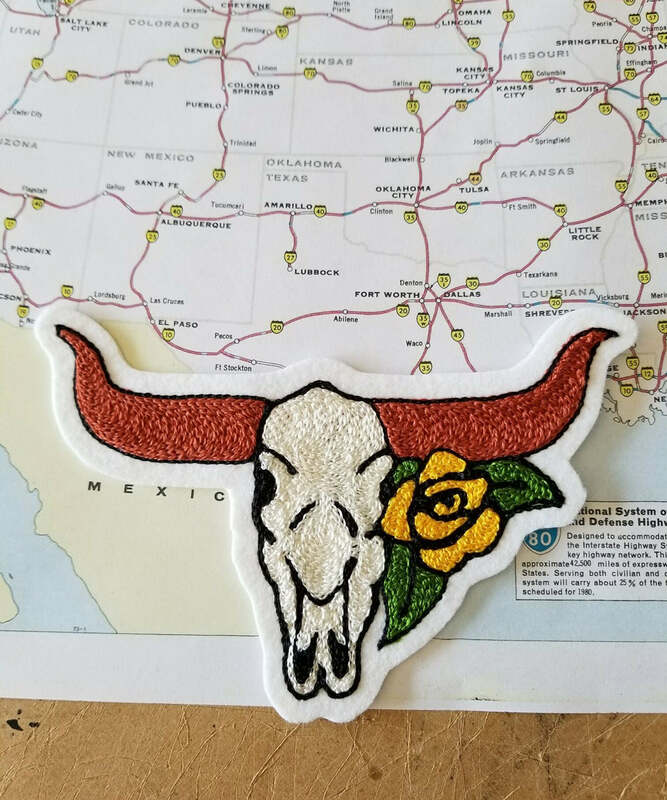 Shop the Austin-inspired Longhorn patch, handmade by Dixon Rand. 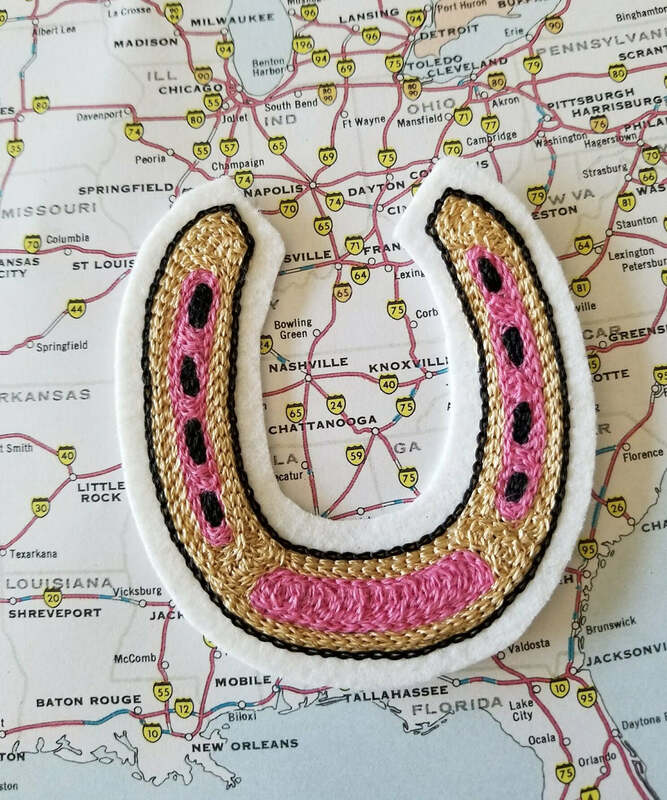 Shop the Nashville-inspired Horseshoe patch, handmade by Dixon Rand. 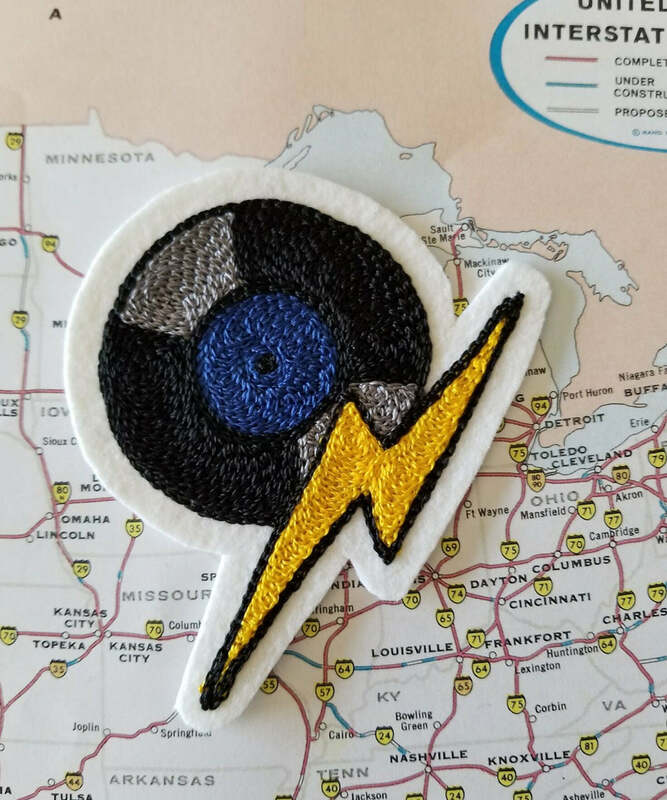 Shop the Detroit-inspired Record patch, handmade by Dixon Rand.